When it comes to loading your motorhome, you need to know your limits. Here’s the lowdown on keeping your loads down. Motorhomes come in all shapes and sizes, but there’s one thing you’re going to have to compromise on, whatever type, make and model you own – and that’s storage. You could be limited by actual space, or by your vehicle’s official load capacity. Or both. Even if you go for one of the latest coachbuilt models with a huge “garage” storage zone at the back, you’ll find there’s a maximum weight of load you can carry in here. There are ways of increasing your overall storage space if you need to – for example, with top boxes or even a trailer. But, there are other aspects to consider, not least payload, individual axle weight maximums and even towing capacity. All this information should be in your owner’s manual. Your dealership and/or manufacturer should be able to supply such information, too. 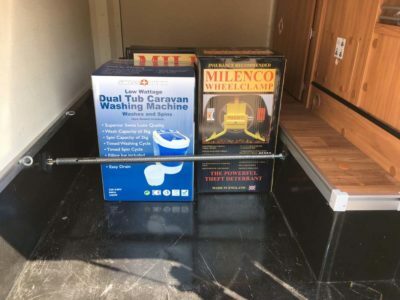 As well as official paperwork, your motorhome will have figures for its Gross Train Weight, MTPLM and individual axle maximum weights on a plate fitted to the main bodywork – typically, you’ll find this under the bonnet or in a cab doorway. 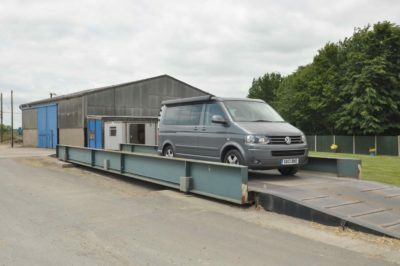 Take your vehicle – loaded or otherwise – to a local weighbridge. A simple internet search will give you a list of local public weighbridges. It’s a great idea to have your vehicle weighed in “holiday mode”, i.e. loaded as would be normal before you go on tour. This will give you the best idea of your Actual Laden Weight (see below). It’s also the ideal opportunity to get the weights on each axle. Do make sure you’re happy with your payload. Remember, your motorhome insurance could be void if you exceed gross vehicle and individual axle limits and overloading is found to be the cause of an accident. There are also ways you can be clever with your actual loading. Safety plays a major part here, too. You don’t want items flying through the air in the event of an accident. When it comes to stowing stuff in your own motorhome, it’s often about making the most of what you’re given. But, as well as adding containers etc, it’s worth re-assessing the existing storage facilities, to see if they can be adapted in any way to suit your needs. There’s all the usual stuff to consider – top boxes, safes, and the like. One alternative is a storage box you can add to an existing cycle rack, although use of such an item may preclude carrying bikes, of course. If you’re thinking of adding a roof box, consider how you’re going to access it. On taller vehicles, you might have to use a ladder. Another possibility is to take a trailer. Do make sure you know the towing limits of your vehicle and that you have the right driving licence. Remember, also, not all motorhomes are towbar-compatible. Caravan Guard’s motorhome insurance policy does automatically cover certain types of trailers for theft and damage up to £1,000 whilst being towed or secured when in storage and up to £5,000 to cover equipment and personal possessions. Keep your load low. 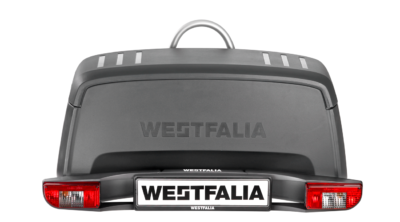 Despite the prevalence of overhead lockers, especially in coachbuilt motorhomes, keeping your heavier loads as low down to the floor – and as near any axles – as possible will have the least effect on the handling of your vehicle. Securing your luggage in transit is just as important. Consider a cargo bar or similar for any bulky items you’re carrying at floor level. Upper lockers, especially those without any locking facility, are best suited to lightweight stuff such as clothing. Even today, some manufacturers provide lockers without any form of catch mechanism. Relatively heavy items, like tins of food, stored high up can be potentially lethal in an accident. Similarly, if you prefer heavier crockery etc, consider loading it low for travel rather than in higher-level racking. Try not to travel with full water tanks. Empty your waste tanks before any journey. Ideally, too, carry just enough fresh water to make it to your destination. Large volumes of water swilling around in tanks can actually affect the handling and braking performance of your vehicle. Limit the amount of food and drink you take away with you. Apart from overall performance, fuel economy suffers the heavier your vehicle. 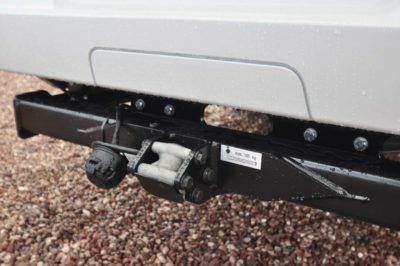 Adding a towbar? It’s worth letting your motorhome insurance provider know and you need to still make sure you’re not exceeding the plated train weight. Mass in Running Order (MIRO) is the manufacturer’s official figure for the weight of the motorhome equipped to its standard specification. Do note, in the past different manufacturers have had different methods of calculating MIRO. Typically, everyone includes gas cylinders, leisure batteries etc, but there can be variations in terms of fuel and other “essential” fluids, as well as weight allowances for the driver etc. Today, most manufacturers quote MIRO without any fresh water on board. Maximum Axle Weight (MAW) refers to front and rear axle maximum weights. These should be supplied by the converter, but they will also be available from the base vehicle supplier. Maximum Technically Permissible Laden Mass (MTPLM; also MAM, Maximum Authorised Mass) is the legal maximum weight of your vehicle. It is illegal to exceed this figure. Actual Laden Weight (ALW) is the weight of your vehicle, as loaded, when you take to the road. Gross Train Weight (GTW) is the maximum total allowable weight of your motorhome plus any unit you choose to tow. 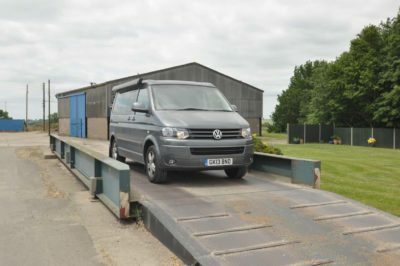 Specialist company SV Tech is among many advising motorhome owners to carry paperwork proving their vehicle’s unladen weight. If you know your payload margin is restrictive, in many instances you can upgrade your vehicle’s MTPLM (although do check your driving licence first). Uprating above 3,500kg changes taxation class from PLG to PHGV so you save money. Motorhomes are generally covered as a Class IV MOT, regardless of weight. Certain smaller Class IV stations may have problems fitting in your size of motorhome, so check against size, not weight. Uprating of the gross weight may only solve part of your problems. You should check individual axle loadings to make sure you don’t exceed the stated axle weights. Find out more at www.svtech.co.uk. One less thing to worry about is that Caravan Guard’s UK breakdown cover, which is automatically included in its motorhome insurance policy, has no weight or length restrictions. 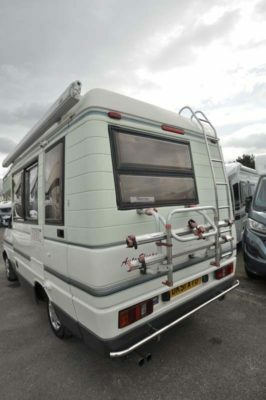 We also offer more advice on calculating your motorhome’s safe weight limits here. Got any advice on loading your motorhome to pass on to others? Feel free to add your comments below. Sounds like you’re looking to drive a large motorhome. As you probably know the C1 driving licence category allows you to drive motorhomes between 3,500 and 7,500kg MAM (with a trailer up to 750kg). There are driving schools up and down the country that can give training towards the C1 test. The best option to find one of these is to do a google search. Once you are ready to take the theory and practical tests you could do so via the .gov website. Very helpful advice, but it would be good if pressure was brought to bear on manufacturers by insurers, to force a standard weighing regime, and a certificate of weight when it leaves the factory. That way us mere mortals might stand a chance! After all, if the insurance industry said “We will not insure any vehicle that has not been supplied with an accurate weight, which includes driver/water tank/fuel tank & 1 gas cylinder” you could bet that the caravan industry would fall over to comply if it felt customers would not purchase an unweighed van! Requested that new campervan plus optional extras, including 2 light weight 6kg gas cylinders (now being discontinued) and 1/2 tank of fuel be put on a weighbridge before accepting. Only 200kg left……No passengers, nothing in cupboards and no bikes! Had MTPLM upgraded. A well worth the exercise and fortunate that driving licence is pre 1997.